In a country where basketball and football dominate the headlines of most sports news outlets, it’s easy for lesser known sports to fall through the cracks, despite their athletes being just as dedicated as those in other other sports. In this series, I’d like to talk to athletes of all different kinds of sports to see what made them pick the road less traveled. But with the Dave Freeman Open coming up this weekend — a badminton tournament with all levels of competitors from all over the world, some of which have competed in the Olympics — I figured this was as good a time as any to learn about the sport. To get an inside scoop on the sport through a student lens, I thought I’d get some information from the co-director of the event, UC San Diego junior and math-computer science major Ali Viettry. In a series of conversations, I sought the answer to what life was like as a badminton player and what made it special to him compared to other sports. “Why not tennis?” being the first thing that popped into my head, I was curious as to what it was about badminton that did it for him. “What really pulls me is how fast you need to be able to play at a higher level,” Viettry said. “You’ve got to have really good reactions and really good speed — the adrenaline it gives me.” “You know it’s really fast when you learn that the fastest smash is faster than 300 mph!” he added, causing me to do a double take (a quick look at ESPN’s Home Run Tracker tells me that the fastest home run this past season was a measly 120.5 mph). Viettry makes his dedication to the sport apparent in the tone of his voice, immediately showing that his affection for the sport is far greater than that of a simple pastime. Despite not speaking face-to-face, I imagine a twinkle in his eye as he describes all of this to me. But as readers of this publication probably know, juggling the behemoth that is school along with any kind of an extracurricular is a daunting task in its own right. Coupled with one that takes dozens of hours a week, you have, well, Viettry. And unsurprisingly, to compete at a high level requires a serious amount of exercise and skill refinement. 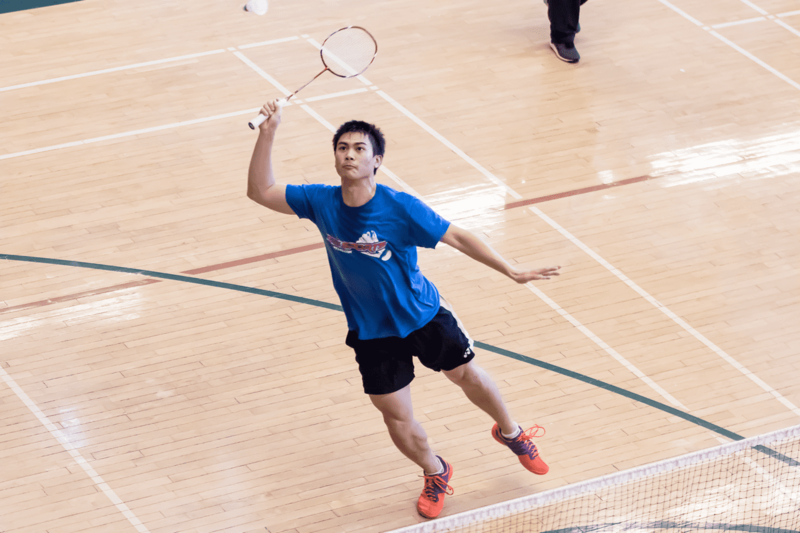 Look forward to watching Viettry and other contestants — including some world-class professionals — compete this weekend in the Dave Freeman Open Badminton Classic starting on Friday, Feb. 24 at 5 p.m. at the Balboa Park Activity Center and culminates in the finals on Sunday.